CREDO SYSTEMZ, ranked one among Top Institution for MS Project Training in Chennai, provides you a complete (both basic and advanced) level of MS Project Training with live project and project management concepts. 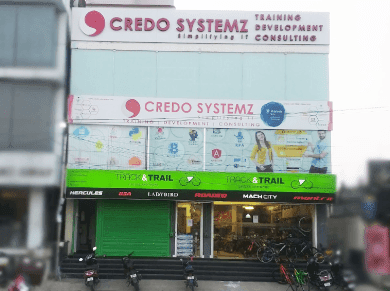 The consultant for Microsoft project training at Credo Systemz having experience in project management, handling the MS Project course in a easier way so that the candidates can understand the feature and its purposes. Projects from various industries like Engineering & Constructions Industries, Oil & Gas Sector Industries, Information Technology sector, Manufacturing & Production Industries, Logistics & Supply Chain Industries can be handled better with the aid of Microsoft Project tool. Complete Coverage of MS Project features with live examples during MS Project Training in Chennai. At Microsoft Project training, Individual attention will be given for each candidates. Combo Course (Primavera P6 & MS Project) will be provided for the benefit for the candidates. Placement Assistance will be provided. Who can attend MS Project / Microsoft Project? 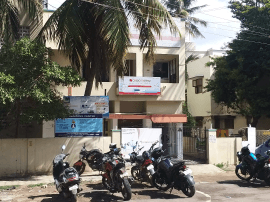 People who graduated in Civil Engineering, Mechanical Engineering, Electrical Engineering, Instrumentation Engineering, Electronic and Communication Engineering and in other Core Engineering domains can attend MS Project Training in Chennai. Experienced professionals working as Project Engineer, Planning Engineer, Project Coordinator, Project Control Engineer, Project Manager, Planning Manager can attend MS Project training in Chennai for effective handling of Projects. FREE DEMO will be provided for the candidates before taking the MS Project training in chennai at Credo Systemz. Detailed instructor led sessions to help you become a proficient Expert in MS Project. Build a MS Project professional portfolio by working on hands on assignments and projects. Lifetime access to downloadable MS Project course materials, interview questions and project resources.